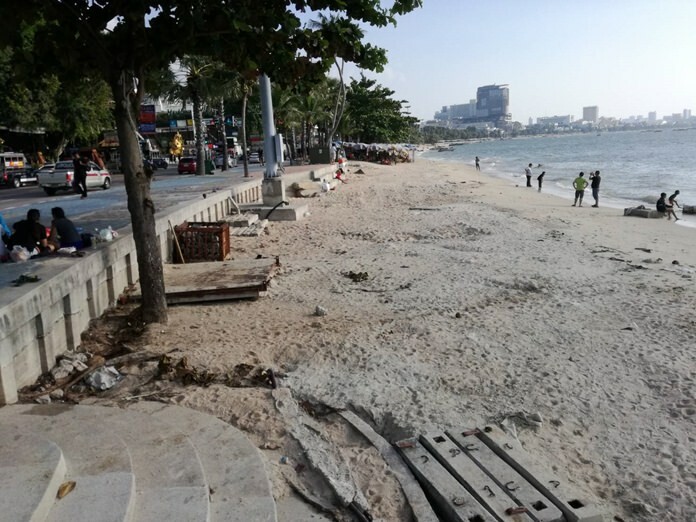 Boats and vendors were cleared off Pattaya Beach for the International Fleet Review. 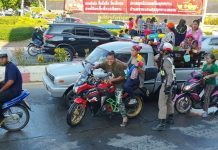 PATTAYA – Already annoyed with “no chair Wednesdays”, Pattaya Beach umbrella vendors had more reason to grumble after city hall told then to shut down Nov. 17-20 for the International Fleet Review. A letter from the city council said the beach should be chair and umbrella free so views of the 26 ships from 19 countries remains unobstructed for tourists and the 5,000 military personnel expected for the high point of the Nov. 13-22 show. Private boats also were banned from Pattaya Bay Nov. 19-20. With the beach chairs gone, city hall decorated the beach to give it a bright and festive look. 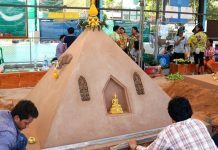 Jomtien and Naklua beaches remained unaffected.